For gun control activists, 2008 was the year the floodgates opened. That’s when the Supreme Court ruled on District of Columbia v. Heller, a landmark challenge to the constitutionality of DC’s 32-year ban on handguns. In a remarkable 5-4 decision, the Supreme Court held that the personal right to own a gun for lawful purposes, such as self-defense, is a guarantee under the Constitution. The court did not finish there. In 2010, it further strengthened Second Amendment rights by overturning Chicago’s handgun ban with its 5-4 decision in McDonald v. City of Chicago. Following these two legal decisions, and spurred on by mass shootings in Colorado, Arizona, and Connecticut, the gun control lobby has gone into overdrive. It continues to push legislations that chip away at the Second Amendment. Universal background checks are the least intrusive measure in the gun control arsenal. While federal law already requires background checks for any weapons sold by licensed gun dealers, gun control activists want those checks to extend to every gun transaction. This includes live auctions over the Internet, gun shows, and private sales. A private seller does not need to perform a background check on the buyer, but certain states such as California require that you do. If you know that the buyer has a criminal history or suffers from a mental illness or drug addiction, you are legally allowed to refuse to sell him or her a firearm without performing a background check. 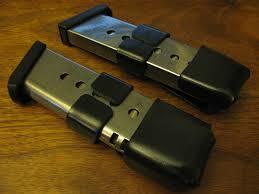 There are eight states, plus the District of Columbia, that have passed laws restricting magazine capacity. In New Jersey and Colorado, the limit is 15 rounds. In states such as California, Connecticut, DC, and Massachusetts the limit is 10. However, some states, such as Colorado and Massachusetts, grandfathered certain magazines before laws came into effect. Check your date of purchase, as you may be eligible to keep your large capacity magazine. Law enforcement officers in Colorado recently sued the state over its newly enacted gun control laws, claiming they were unconstitutional and unenforceable; the judge ruled against them based on lack of standing. In 2003, a decade-long federal ban on “assault weapons” expired. After the Sandy Hook shootings, renewing this ban became a primary focus of gun control groups. Unfortunately, most of the groups pushing for a ban had little understanding of the weapon they were proposing to ban, focusing more on cosmetic alterations. 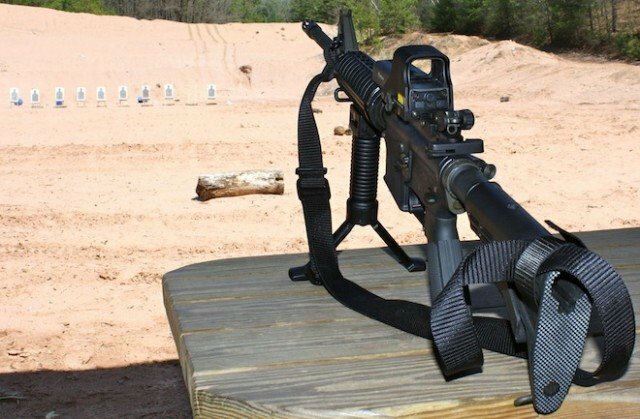 The AR-15, America’s most popular rifle, became their primary enemy. However, there was little support for this ban. Furthermore, a Justice Department study showed the federal ban actually failed to save any lives. It is no longer a primary aim of the largest gun control groups. Second only to an outright ban, federal gun registries are the Holy Grail for gun control activists. This is because a gun registry does not track guns so much as it identifies and registers gun owners. This makes it easy to disarm certain classes of people. The Nazis used a national gun registry to disarm its political opponents and the Jews. 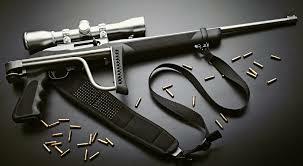 States such as Hawaii and the District of Columbia require owners to register their guns. Some states, such as New York, require registration of certain guns (handguns). Check with your state to see whether you need to register your gun, especially if you own different firearms. While the Supreme Court has reaffirmed universal Second Amendment rights, laws still vary from state to state regarding concealed carry, open carry, magazine capacity, and other limitations. The most recent example of the tragedy that can occur over disparate gun laws is Shaneen Allen, a single mother from Pennsylvania who faced prison time over her legally owned and carried gun. At a routine traffic stop in New Jersey, Ms. Allen, a Pennsylvania resident, disclosed to the officer that she had a concealed carry permit and her handgun was in the car. The police immediately took her to jail. She faces a mandatory prison sentence because of New Jersey’s extremely restrictive gun control laws. Even though the Second Amendment right to gun ownership is universal and guaranteed under the Constitution, it’s still important to understand the gun laws of any state. If you travel and plan to bring your gun, know the rights of each state to avoid trouble.